Living a happy, healthy life is about more than just medical care, which is why Aegis Living commits itself to reinventing the way seniorsare treated in assisted living environments. With a mission based on compassion, Aegis’ 30 communities are dedicated to making a difference in the lives of every senior they serve, providing a combination of health care services, comfortable living and the opportunities and encouragement to live their golden years to the fullest. When seniors can no longer live on their own, Aegis Living environments offer care and assistance while still allowing for a degree of independence. Each apartment is designed for optimal comfort and security, and a trained staff is available at all hours of the day to attend to the needs of seniors. Apartments are tidied up and everyday chores, such as laundry, are taken care of by an attentive staff, and there’s even a full-time concierge on duty waiting to handle residents’ special needs. Perhaps most importantly, medical staff are located on-site to make sure seniors health and wellness remain a top priority. In fact, a full-time licensed nurse is available to help seniors oversee their medication regimens on a daily basis, and every apartment has an emergency call system with wireless call buttons so that help is always the tap of a finger away. In cases when residents need to see a medical professional off-site, they can take advantage of scheduled transportation services to safely deliver them to the outpatient facility and back home. In addition to these essentials, Aegis goes above and beyond to make sure every day is an enjoyable and rewarding experience for seniors. Trained culinary professionals create nutritional menus aimed at promoting cardiovascular health, cognitive function and other aspects necessary for a long and vigorous life, and snacks and refreshing beverages are available throughout the day. Each community even has a private dining room so that friends and family can join residents for intimate meals. Aegis Living communities have been carefully developed and staff have been extensively trained to meet the very specific needs of people with Alzheimer’s. This form of dementiarequires specialized memory care to help them maintain and even improve cognitive function. The licensed nurses and caregivers are experienced in recognizing the signs when a person with Alzheimer’s is agitated and helping him or her ease the symptoms and find a place of calm. The memory care plan also incorporates health-boosting initiatives such as specialized menus to boost vitamin levels and strengthen the immune system, both of which can improve physical and mental health. This program also incorporates a plethora of small but very effective features for improving the lives and brain health of those with dementia. For example, activities are scheduled daily that stimulate residents mentally and physically while helping soothe the effects of Alzheimer’s disease. There’s also a graduated closet rack that lets seniors dress themselves each morning by allowing them to remove each piece of clothing in the proper order. Another highlight of the memory care program at Aegis Living is Life’s Neighborhood. This nationally recognized program is designed to reduce anxiety and stress levels by providing a familiar environment that recalls seniors’ heydays and incited a warm sense of nostalgia. The shared spaces resemble family homes from the 1940s and 1950s, antiques give the space an old-fashioned appeal and music from the bygone era fills the air. Life skills stations allow seniors to engage in activities that they once enjoyed in their youth, memory boxes let residents share photos and old mementos with others in the community, and specialized lighting fixtures are designed to eliminate irregular sleep patterns and, in effect, promote cognitive health. Short-term care: Respite care is available for seniors who only need to stay temporarily. 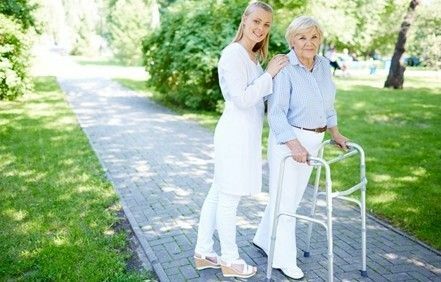 This is an excellent option for when a caregiver goes on vacation or to give seniors a trial stay to see how they enjoy the assisted living community. Day stays: When an at-home caregiver is at work, seniors can spend the day enjoying the activities, delicious food and delightful company at an Aegis Living community. Days stays include daily living assistance, medication management and other care services. Companion living program: This option lets seniors share a living space with another resident. The program pairs roommates according to their personalities, cultures and interests as well as their sleeping and eating habits, rather than selecting roommates on gender alone as many assisted living centers traditionally do. The program also provides therapeutic activities that can help roommates form a lasting and fulfilling bond. Hospice care: When a senior runs out of options for medical intervention, hospice care through Aegis Living can provide them with a nurturing and compassionate environment in their last days. Hospice services are provided in addition to basic care, and staff will meet with a hospice provider chosen by the resident to create a coordinated care plan for the senior.